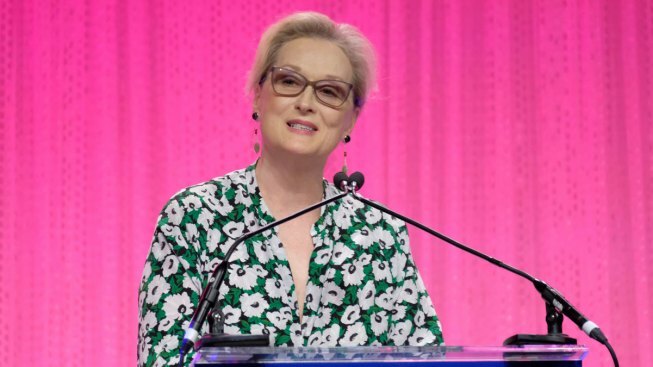 Streep recounted two incidents, one in which she said she was attacked and "played dead and waited until the blows stopped"
Meryl Streep speaks at the Planned Parenthood 100th Anniversary Gala in this file photo from Tuesday, May 2, 2017 in New York. Meryl Streep says the two times in her life she dealt with violence were so profound it changed her "on a cellular level." Streep made the remarks Wednesday at the Committee to Protect Journalists' 27th annual International Press Freedom Awards in New York. The Oscar-winner told the audience she did "know something about real terror." She recounted two incidents, one in which she said she was attacked and "played dead and waited until the blows stopped." She said in that case, she "went completely nuts" and chased the man off. It was after telling the stories that Streep said the experiences changed her permanently. Streep did not give any more details, other than to say Cher witnessed the second incident.